The Anti-Corruption Commission (ACC) on Wednesday opened cases against gold mine operators who allegedly fabricated a bribery case with the intention of defaming civil servants. A complaint was filed at Naypyitaw’s Zabuthiri Township Police Station against U Tun Aung Soe, the managing director of National Prosperity Gold Production Group Co. Ltd. under Article 59 (fabricating with false information) of the Anti Corruption Law, while two company employees, U Myo Aung and U Sonny, were the subjects of complaints under Article 59 and Article 63 (abetting). Under a 2018 amendment to the law, those convicted under Article 59 face a maximum sentence of three years’ imprisonment and a fine. In a separate case, the company owner was charged last August with failing to pay taxes. This is the first time the ACC has filed cases accusing suspects of a false bribery complaint. The commission has taken action against other government officials and civil servants for violating the ACC Law. On Monday, the managing director of the government’s mining enterprise was charged with corruption, while a series of arrests, detentions and charges have ensnared a number of others including former Tanintharyi Chief Minister Daw Lei Lei Maw. The ACC investigated complaints raised by U Tun Aung Soe that mining officials and police took bribes from eight companies and illegal gold miners at a restricted gold mine in the Moehti Moemi area of Yamaethin Township in Mandalay Region. The company made complaints alleging that illegal gold mining in the mine’s main Adit (1) caused losses to the company. It also held a press conference announcing its allegation in Naypyitaw in early January. Based on witnesses’ testimony, the commission found the company’s complaints to be false, said U Kyaw Soe, the spokesman of the commission. He said the gold mining company “intended to harm the serving mining officers.” But he did not reveal the names of the companies or the witnesses involved in the investigations. The ACC said the company’s managing director and two staff were found to have fabricated the bribery case with the intention of harming police and Mining Ministry officials. 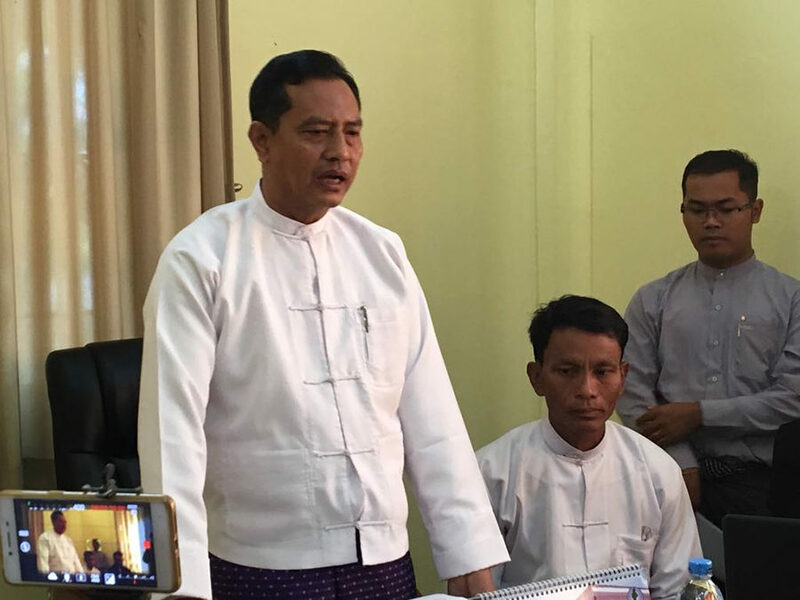 According to a statement issued by the commission on Wednesday afternoon, on Jan. 16, U Tun Aung Soe sent his two employees to Yamaethin Prison to meet U Aye Ko and nine other detainees who were charged under Article 6(1) of Public Properties Protection Act after being arrested at a locked mine entrance. U Kyaw Soe said company staff convinced U Aye Ko and others to lie about the bribery by saying that the gold miners paid the mining officials and police to be able to mine there. The two staff also promised U Aye Ko and accompanies that they would help them with their cases. The director of the commission, U Kaung Zaw Thant, acted as plaintiff and the police accepted the cases. So far only the company’s managing director is in custody, according to a police lieutenant at Zabuthiri Police Station. Moe Moe contributed to this report from Naypyitaw.